This neighborhood is temporarily sold out with new homesites coming soon. Please visit the Cabin Branch NEO-traditional series page for our available single-family homes in the Cabin Branch Community. 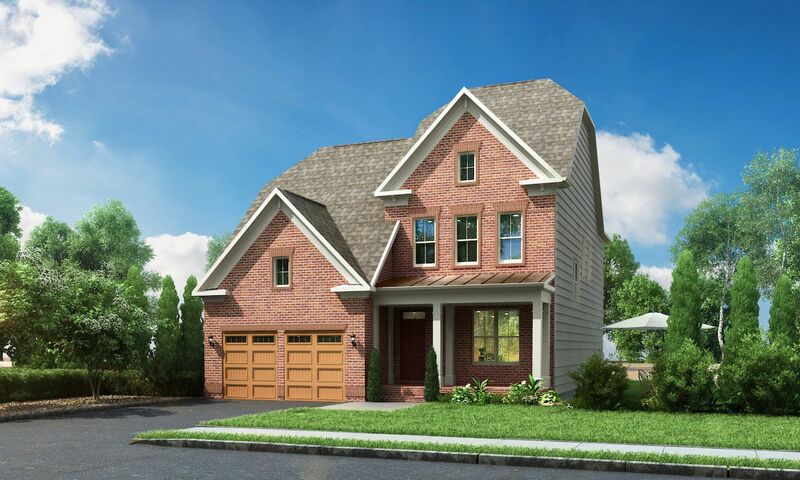 The Wright homestyle is still currently available at our West Grove community in Fairfax, VA. To be placed on our interest list for new homesites please contact New Home Specialist Steven Buterbaugh (240) 241-7809. Discover personalized comfort and luxury in a Classic Series home. From the front-entry garages to the spacious backyards, the Classic Series brings the very best of traditional single family home design to Cabin Branch. European-influenced exterior elevations create a distinctly vertical look. Inside, your family’s life unfolds beneath soaring 10-foot ceilings on the main level and 9-foot ceilings on other levels. Thoughtful design transitions seamlessly from inside spaces to outdoor living areas. Covered or uncovered. Open, screened or enclosed. This is where you’ll welcome the beauty of nature into your home all year long. Each Classic Series home comes with a finished lower-level rec room, so you’ll have plenty of space to entertain or just hang out. You can add even more space for relaxing by choosing an outdoor terrace off of the owner’s suite. Whether you choose the Wright with its breakfast area or an additional guest suite in the Fuller model, you’ll find beautiful, flexible spaces that are ready to complement your personal style. The comfort of a Classic Series home extends into the 540-acre community. With fun amenities such as a clubhouse and swimming pool and nearby Clarksburg Premium Outlets®, you’ll never run out of things to do. Your dream lifestyle won’t stop at the classic brick exteriors when you choose a Cabin Branch home. It will flow into the exciting community and beyond.